For the second time in five seasons, a Portland Winterhawk is the WHL Scoring Champion. 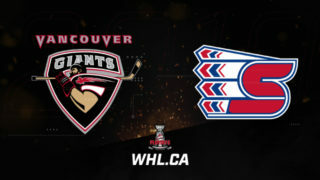 Joachim Blichfeld needed every second of the 2018-19 WHL Regular Season to complete the task, but as the final buzzer sounded in Portland, the Danish forward because the second Winterhawk in the last five years to win the WHL scoring title after registering 114 points (53G-61A) to edge out Moose Jaw Warriors forward Tristin Langan. Heading into Sunday’s action, both Blichfeld and Langan were tied at 113 points apiece (53G-60A). 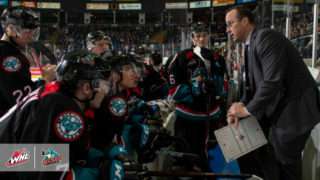 Langan completed his 68-game WHL slate on Saturday night, collecting an additional three points (2G-1A) in a 6-0 win over the Swift Current Broncos, doing yeoman’s work to pull into a tie with Blichfeld. 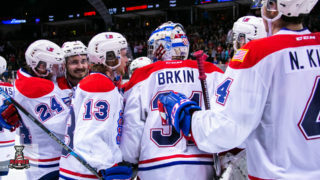 The 20-year-old product of Frederikshavn, Denmark held the upper hand with one game remaining on Sunday and he used nearly every single second available to him in order to claim the 2018-19 WHL scoring title. With the Winterhawks trailing the Seattle Thunderbirds by a 6-4 margin, Portland went to a power play with 16.6 seconds remaining in the third period. 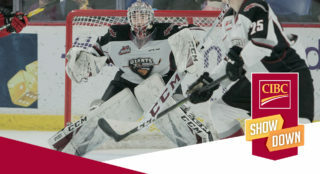 After a shot on net, a second faceoff took place to the blocker side of Thunderbirds goaltender Cole Schwebius with 9.6 seconds remaining in regulation. Jake Gricius won the draw back to Blichfeld at the left point, who set up Jared Freadrich for a one-timer that found the back of the net with 1.1 seconds to play. And just like that, Blichfeld laid claim to the Bob Clarke Trophy as the WHL Scoring Champion. Blichfeld becomes the seventh Winterhawk to win the WHL scoring race, following in the footsteps of fellow Dane Oliver Bjorkstrand (118 points, 2014-15), Brendan Leipsic and Nicolas Petan (120 points each, 2012-13), Todd Robinson (134 points, 1996-97), Lonny Bohonos (152 points, 1993-94) and Dennis Holland (167 points, 1988-89). Over the course of 187 career WHL regular season contests, the 6-foot-2, 187-pound Blichfeld – a prospect of the San Jose Sharks (2016, 7-210) – has tallied 228 points (105G-123A). He has added another 19 points (8G-11A) in 23 career WHL playoff games. 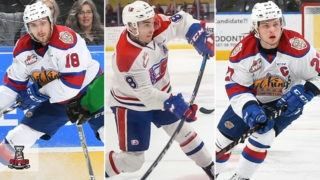 In total, the WHL saw five players surpass the 100-point plateau in 2018-19 as Blichfeld (114), Langan (113), Justin Almeida (111, Moose Jaw Warriors), Brandon Hagel (102 points, Red Deer Rebels) and Trey Fix-Wolansky (102 points, Edmonton Oil Kings) all accomplished the feat. In the goal-scoring race, only Blichfeld and Langan managed to surpass the 50-goal plateau this season, as both finished with 53 tallies. The Bob Clarke Trophy, awarded annually to the WHL’s Top Scorer, is named after the WHL and NHL legend known to many as one of the toughest and most skilled to ever play the game. 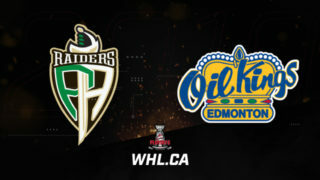 Clarke played two seasons in the WHL and captured the WHL scoring title in both those campaigns. The 1967-68 WHL season saw Clarke collect an astounding 168 points (51G-117A) in 59 appearances. During the 1968-69 season, Clarke registered 137 points (51G-86A) in only 58 games as he helped his hometown Flin Flon Bombers claim the 1969 WHL Championship. From there, the product of Flin Flon, Man., went on to play 15 NHL seasons with the Philadelphia Flyers, including captaining the Club to two Stanley Cup Championships. He was awarded the Hart Trophy as NHL MVP on three occasions and was named an NHL All-Star four times.